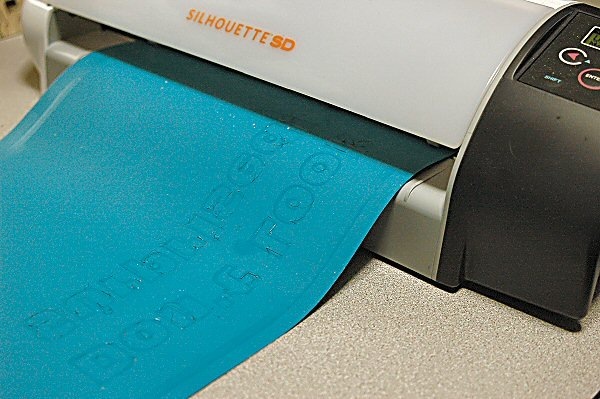 Let me tell you…everyday I’m finding more and more uses for my Silhouette SD Electronic Cutter! It does vinyl decals, cardstock die cuts, rhinestone transfers, glass etching, fabric appliqués, magnets and now printable Tattoos! I can’t take it…LOL! 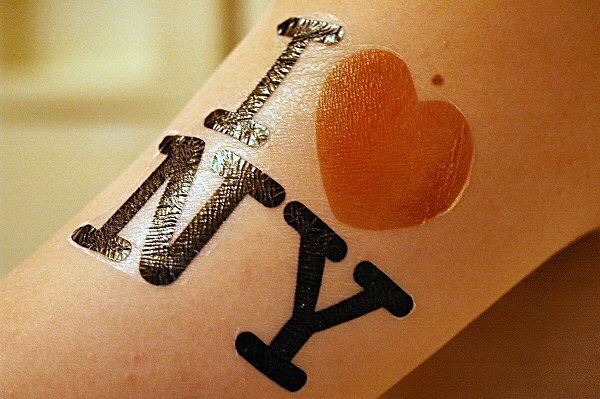 This year’s BBQ theme is “I LOVE NY!” So, guess what kind of tattoos I’ll be making for the kiddos? Yep! 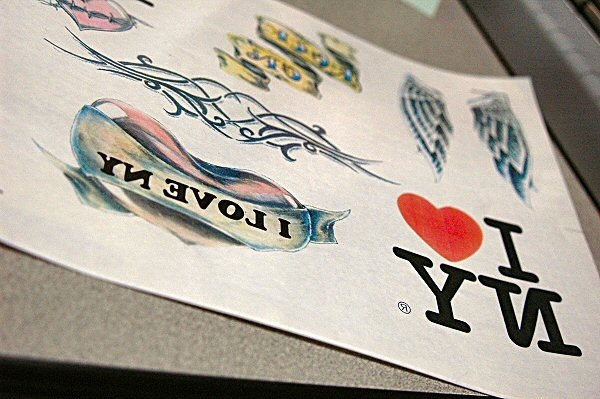 The Temporary Tattoo Instructions were easy to follow. If you already are lucky enough to own a Silhouette, you can take 25% off all supplies in their store (excluding gift cards and download codes). 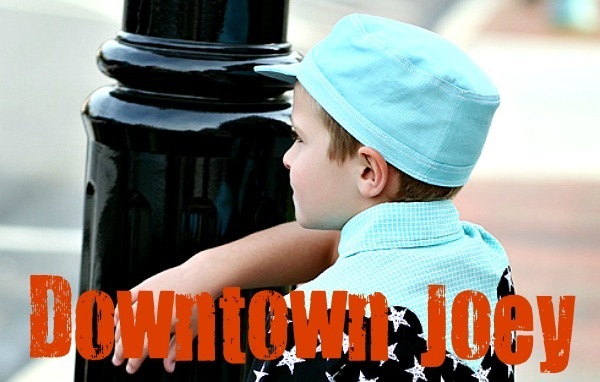 This promotion runs until June 29th. Just enter promo code “DIVA” at checkout to get the discount! Silhouette America is having yet another promotion this month! They were kind enough to send me some of their awesome heat transfer material to get my craft on! 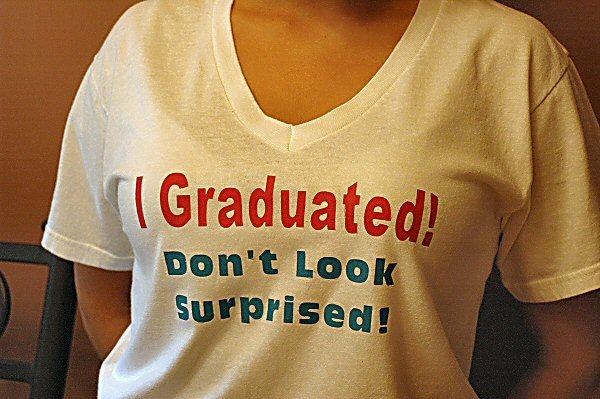 Since Marielle is graduating high school in two weeks, I figured I’d surprise her with a fun t-shirt. I opted for some Teal and Dark Pink Smooth Heat Transfer material. Just open up your Silhouette Studio software (included with your Silhouette SD Electronic Cutting Machine). Type up a saying using whatever font strikes your fancy. Be sure to MIRROR IMAGE your saying, so it prints out correctly. 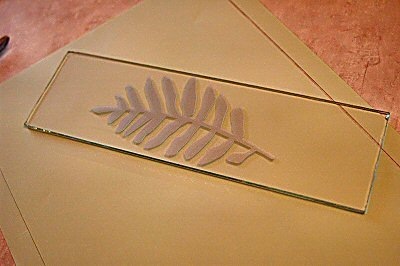 Next just weed away the negative space of the heat transfer material leaving your words or image attached to the clear transfer sheet. 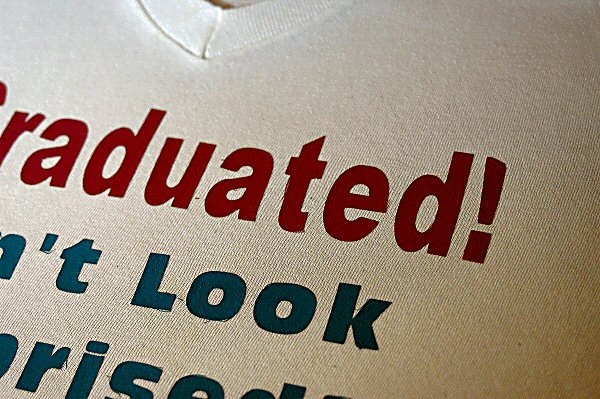 Now take your image and place it on whatever material you choose. I opted for a simple white t-shirt. 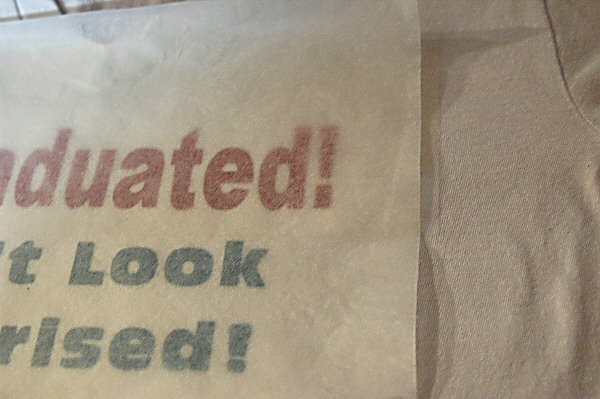 The clear transfer tape sticks to your material. 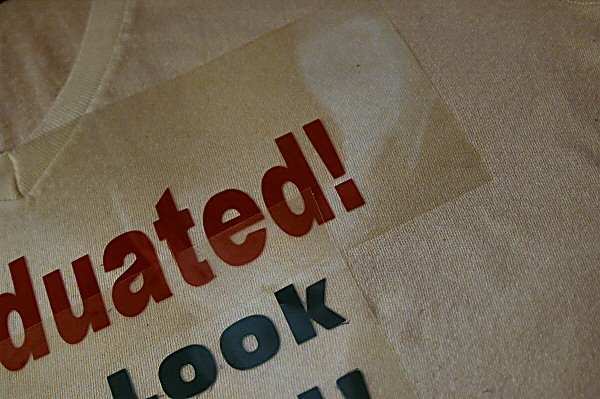 Now cover the image and clear transfer tape with a cloth or the provided matte paper to protect it. 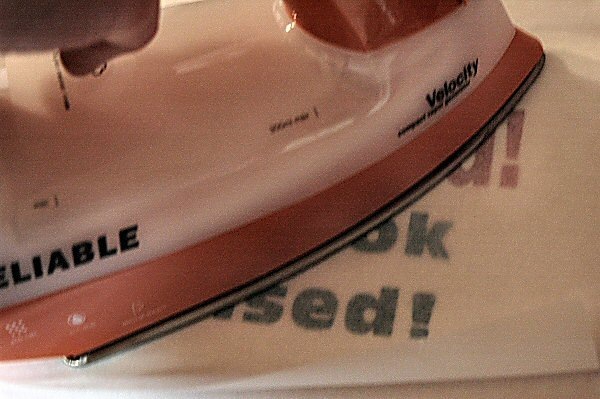 Set your iron to the Cotton setting and press for approximately 45 to 60 seconds, so that the image adheres to your material. This can be a little tricky. I found I had to iron it quite a bit. At first, I couldn’t get the image to release from the clear transfer tape. I gave up and called it a night. Early the next morning, once the image had cooled, I was able to easily remove the clear transfer tape. Sometimes you just need to have a little patience….LOL! 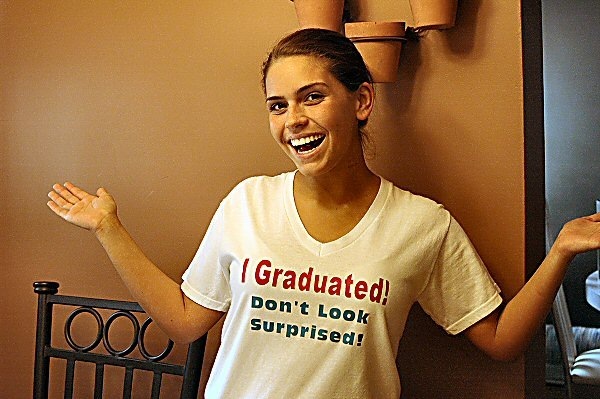 Marielle loved her new t-shirt! It’s been a long, hard road for Marielle. 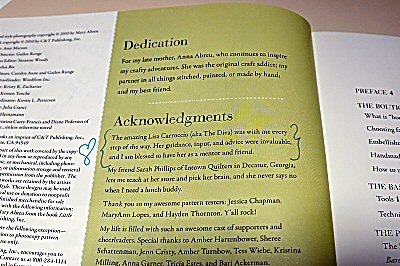 We are so proud of her! That is a savings of $120!!! 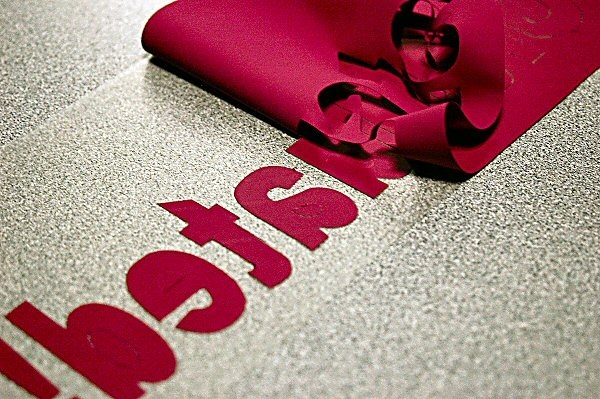 If you already have a machine or just want the heat transfer product, take 25% off all heat transfer material. Just use the code “DIVA” at check out for either the Heat Transfer Bundle or the 25% off the heat transfer material to receive the discount! 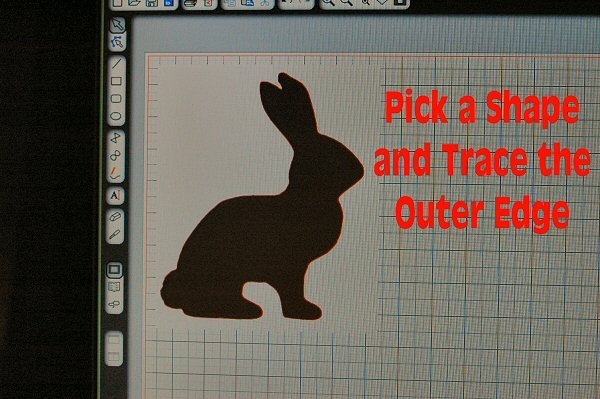 Within your Silhouette design software, pick a shape and do a Trace of the Outer Edge. 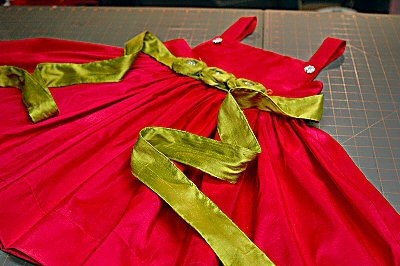 For this project, I’m using their SEWABLE Fabric Interfacing. 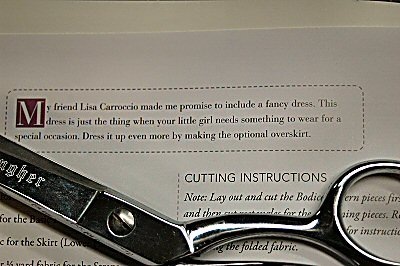 Cut off a piece about 1 inch bigger than your design. 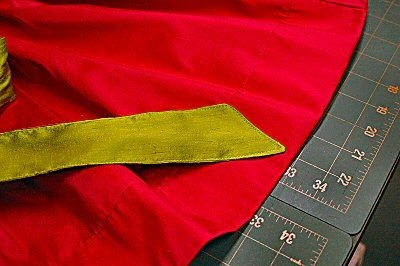 Iron the ROUGH SIDE of your Fabric Interfacing to the WRONG SIDE of your fabric. 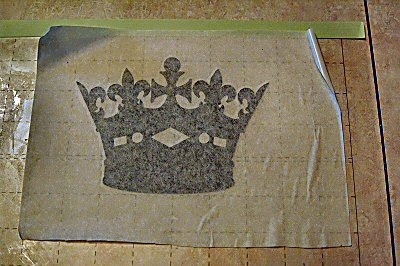 Then just peel off the paper backing of the Fabric Interfacing. 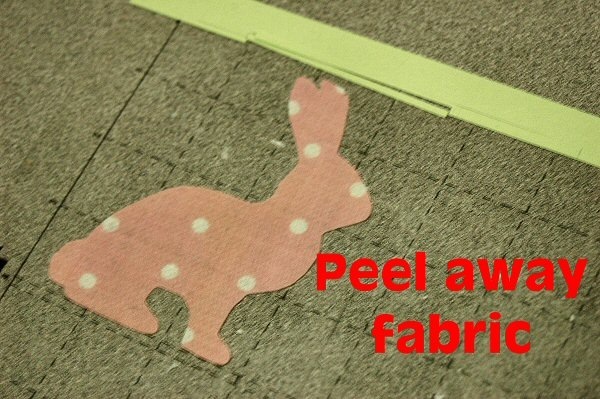 Place the Interfacing side of the fabric onto the THICK cutting mat. Using the PINK blade cap, set your machine to cut at a SPEED between 3 and 5. Then set your THICKNESS between 25 and 33. Press CUT! 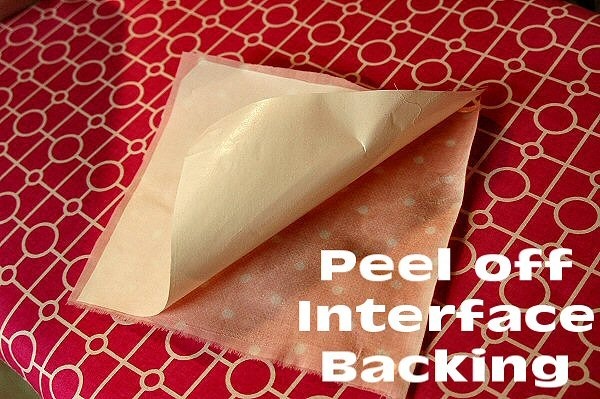 You just then peel away excess fabric. 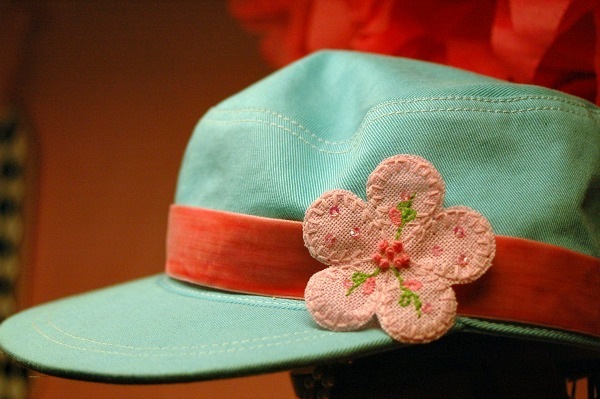 Find something to place your appliqué on such as one of the hundreds of bloomer blanks in my sewing stash. 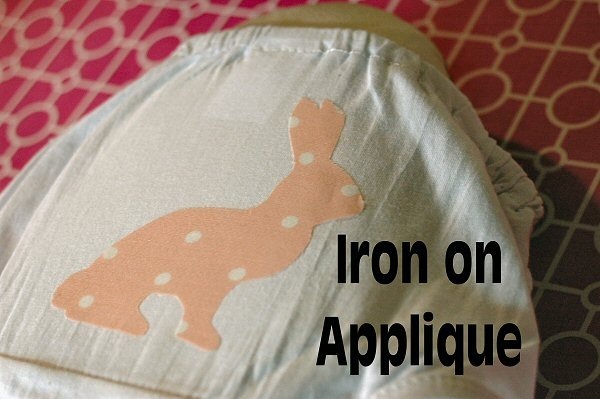 Iron on your appliqué. Note: I used a little Basting Spray to hold it very secure to the bloomers. 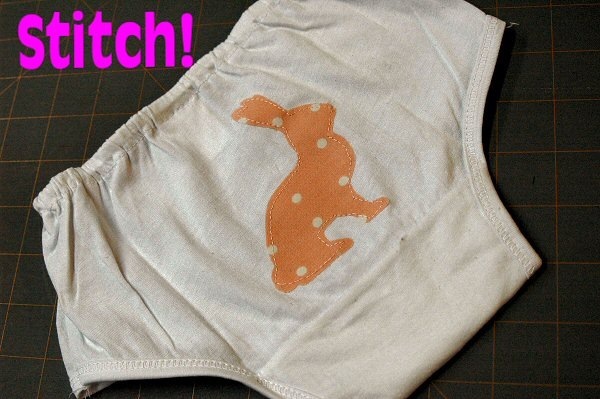 Then just go to your sewing machine and stitch inside the edge of the fabric! 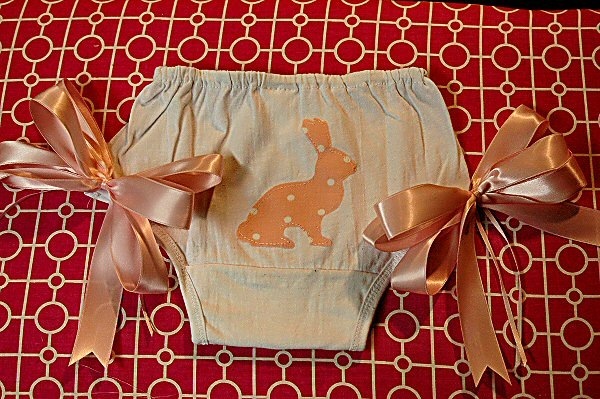 I felt like being a little extra crafty, so I embellished my little bloomers with some bows. Good News! Silhouette is doing a fantastic promotion during the month of March that I wanted to share with you. 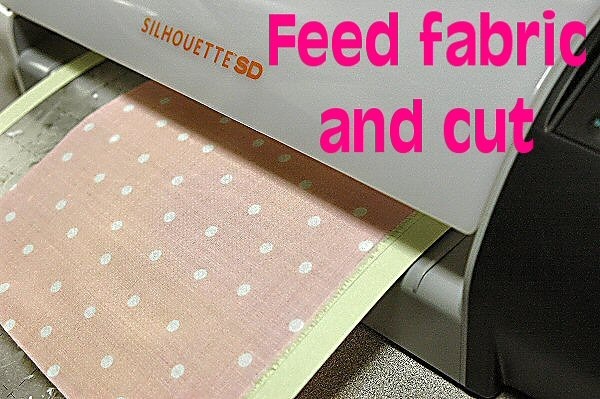 You can purchase a Silhouette SD electronic die cutting machine, one of each type of fabric interfacing (clean cut & sewable) and a roll of white flocked Heat Transfer material for only $229! That’s a savings of $100! Also, for those of you who are already lucky enough to own a Silhouette SD electronic cutting machine, you can get 25% off their new Fabric Interfacing. This promotion will run through March 27th. Code word is DIVA. 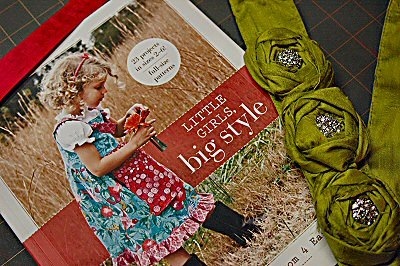 And check out A Lemon Squeezy Home’s tutorial for using Heat n Bond! For even more ideas, head over to the Silhouette Blog! 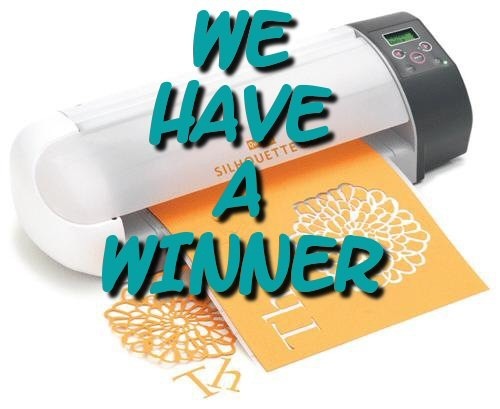 We have a WINNER of the Silhouette SD Cutting Machine Bundle! 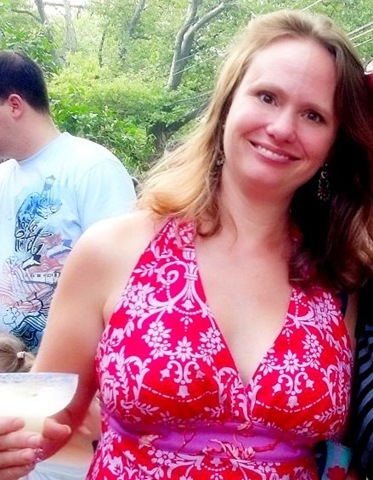 I would make awesome stickers for drinks at the next diva-q in the theme you chose. i’m SURE they would be pink. And for those of you who weren’t as lucky as Kary, you can use the code, DIVA, and get the same Silhouette SD Electronic Cutting Machine Bundle as above for only $225!!! That’s a $395 value! If you already are the proud owner of a Silhouette SD cutting machine, you can also use the code DIVA and get 25% off of ALL adhesive vinyl from the Silhouette Store! 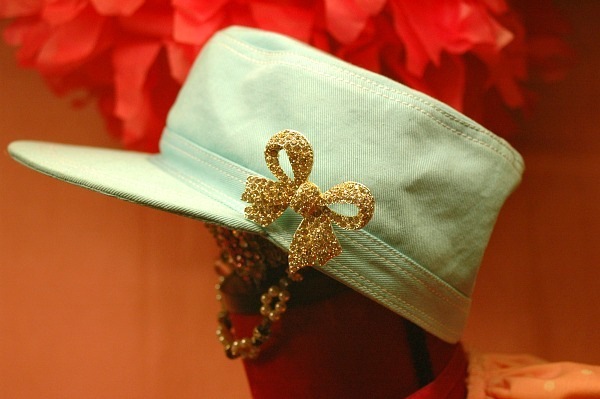 The code, DIVA, is active through March 1, 2011, so don’t wait! Be sure to check out the Silhouette Blog! 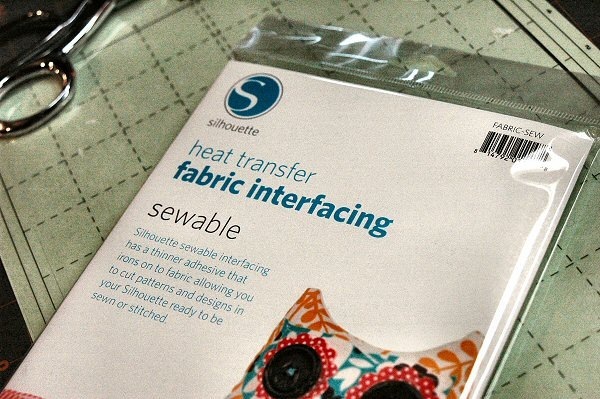 Thanks to Silhouette for this great giveaway and to all those fellow crafters who participated! The Domestic Diva’s Silhouette SD GIVEAWAY! 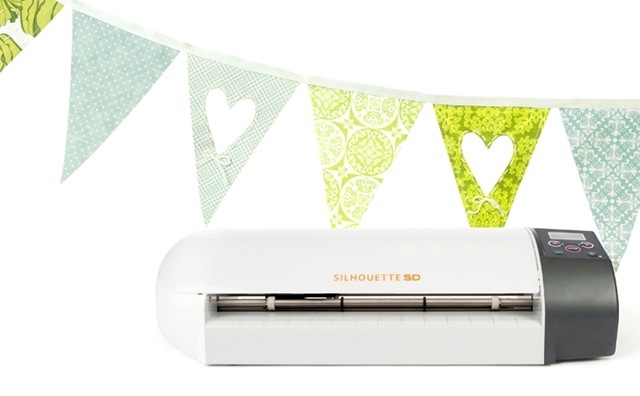 I am so excited about this awesome Silhouette SD Electronic Cutting Machine Bundle GIVEAWAY!!! Silhouette America sent me a Silhouette SD machine to try and will send the winner of my giveaway one, too (details below)! I found a crown silhouette in their store for a mere 99 cents. It had lettering that said, “Domestic Goddess,” but I cropped it out using the free Silhouette Software (which was included). 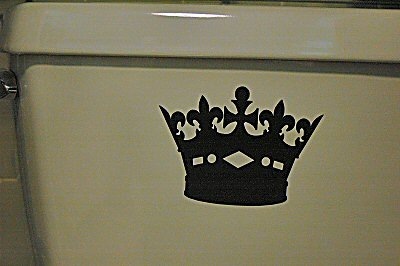 I used their black vinyl and cut out the crown. 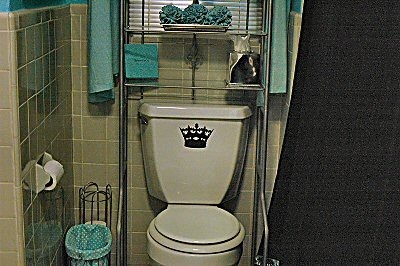 Now I have a fancy THRONE in the bathroom! LOL! 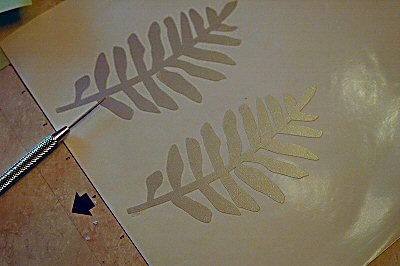 Next I played with their new Frosted Vinyl. Since I didn’t have a cute fish bowl, I added the frosted vinyl to some glass from a hanging candle lantern. I love how it can out! 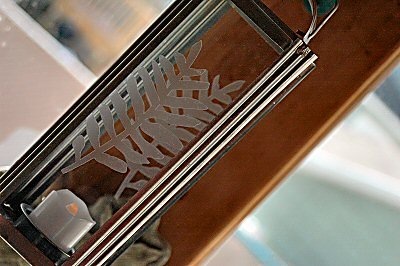 I can’t wait to use the frosted vinyl on mirrors and other glass objects around my home. I also tried using some adhesive paper. 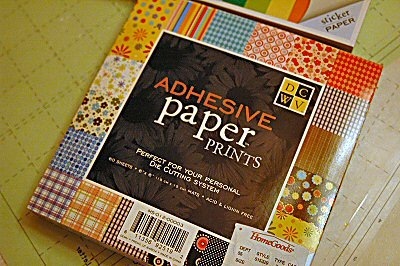 It’s basically sticker paper. I played around and created a few personalized graphics, pressed CUT and stuck them on cards. Easy peasy! Now I have to be honest here. See, over a year ago, I purchased a Cricut Expression during a Black Friday sale. I even bought the Sure Cuts A Lot Software. I tried and tried to get the hang of it, but failed miserably. So I put it back in the box. And that’s where it’s stayed since. When my Silhouette SD arrived, it took me a few days to take it out of the box. But to my surprise, setup and actual cutting was a breeze! No confusing software or file conversions. Yeah! Yes, both machines have their advantages. But for me, I’m all about doing AWESOME with little effort. 1) Leave a comment on this post telling me what you’d make if you won this Silhouette machine bundle. 2) Share a link to this giveaway on Facebook or Twitter (see SHARE button at the bottom of this post). 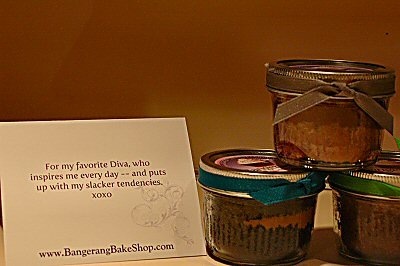 2) Become a follower or email subscriber to The Domestic Diva’s Disasters Blog. 3) Comment that you follow the Silhouette Blog (tell them The Diva sent you). 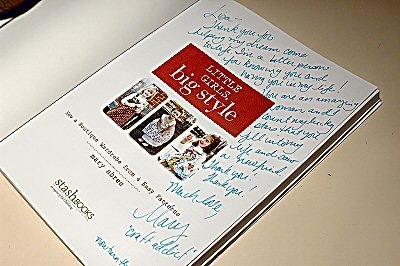 5) Blog about this giveaway with a link back to this post. Be sure leave your email address in your comment, if necessary. This giveaway is only open to US residents. 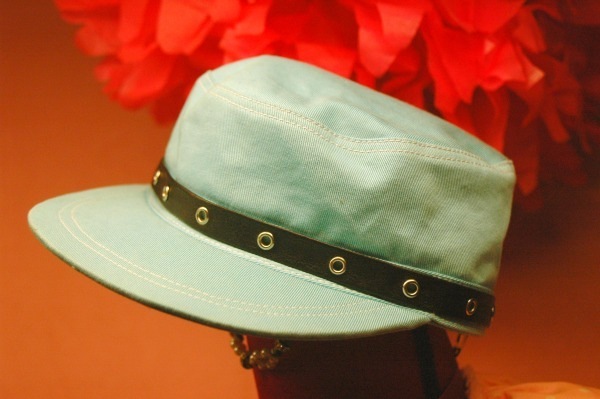 Giveaway ends Sunday 2/27/11 at 11:59pm (Eastern Standard Time). 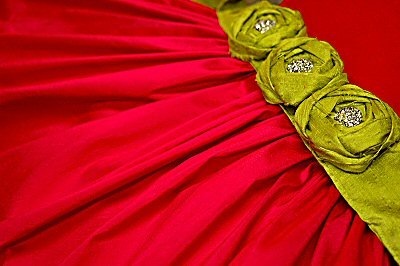 Winner to be announced first thing Monday morning (2/28/11). Winner will be picked using Random.Org. And if you just can’t wait or don’t win this giveaway, you can use the code, DIVA, and get the same Silhouette SD Electronic Cutting Machine Bundle as above for only $225!!! That’s a $395 value! 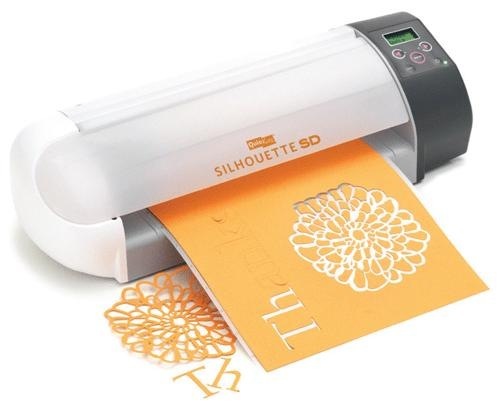 If you already are the proud owner of a Silhouette SD cutting machine, you can also use the code DIVA and get 25% off of ALL adhesive vinyl from the Silhouette Store (I so need to get me some pink)! 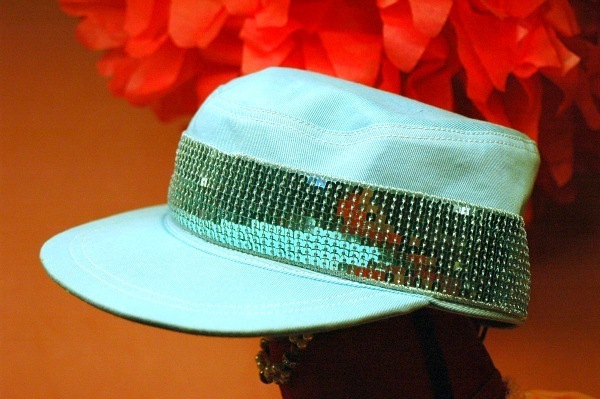 The code, DIVA, is active through March 1,2011, so don’t wait! OMG! I’m so excited!!! Just received a Silhouette SD to test from Silhouette America to play with! There are so many things I want to make. From vinyl wall lettering to appliqués, the choices are endless! And guess what? 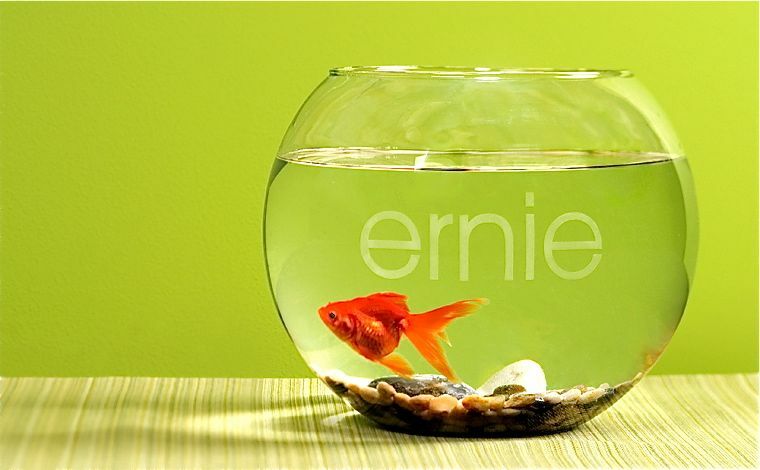 Next week, I’ll be having a GIVEAWAY here on my blog! Yep…you’ll have a chance to win your own Silhouette SD digital die cutting machine!!! Stay tuned! 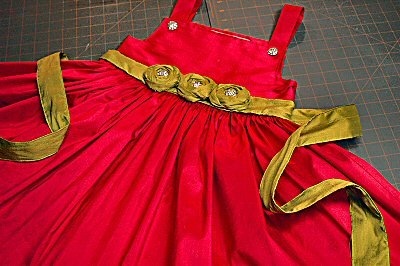 Am I the only one who has a bottomless bin of items that need to be hemmed, altered or repaired? 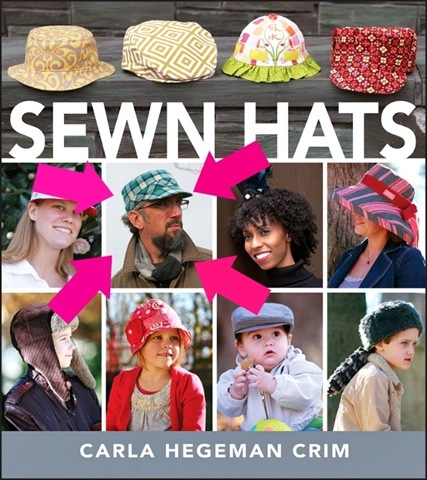 Most people know better than to give me things to sew. But seems my immediate family hasn’t gotten the memo. I like to create new things. I don’t want to fix others’ creations. 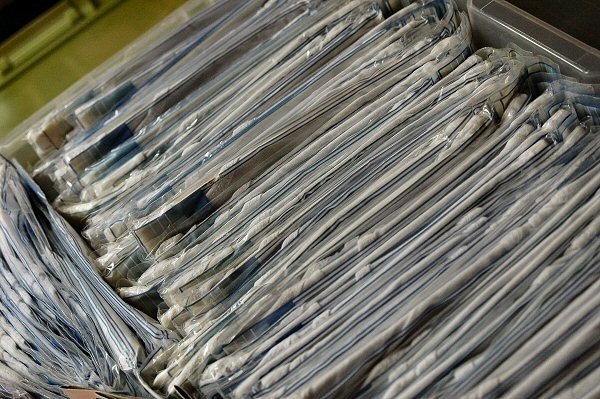 There’s no creative process…no fabric to select, no trims to add, nothing to embellish…totally uninspiring. My procrastination probably stems from the time several years ago when Mr. Diva asked me to hem his pricey velour sweat suit. My serger literally ate a chunk of the velour in the middle of the pant leg. However, I needed to get over my fear as my 9-year-old son is down to 2 pair of pants that fit him. Like a good mother, I purchased 10 pair of pants in the appropriate size. That was at least 2 months ago. They all need to be hemmed at least 4 inches in length. Last night, it took me no less than 2 hours to measure, cut and serge the bottom of each pant leg. 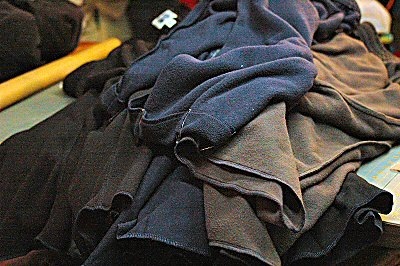 Perhaps next weekend, I’ll actually finishing hemming them. Maybe not. Oh, my poor Garden Room! With all the snow melting, my Garden Room roof is shot. 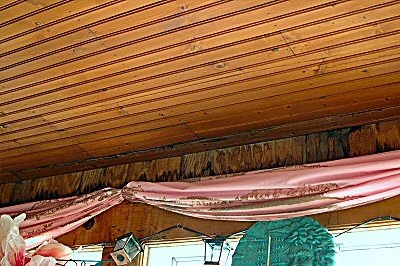 Not only is the roof a loss, but so are the wood walls. 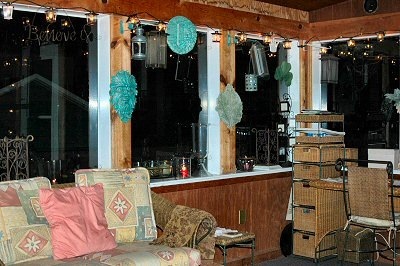 We have to completely rip down the Garden Room and rebuild it this year due to all the water damage. So now I’m trying to design a new 3 Season room without breaking the bank. 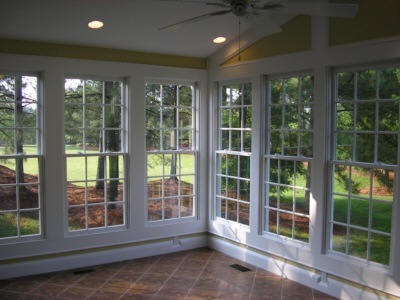 Whatever I decide, it’s going to have to have lots of big windows (like this one above)! All I need now is to hit the Lotto. Yep.